Despite the availability of an effective vaccine for hepatitis B, hundreds of millions of people worldwide are infected with the hepatitis B virus (HBV). This virus can cause serious liver damage and cancer in chronically infected patients. Hepatitis delta virus (HDV), a satellite of HBV, can exacerbate the disease. 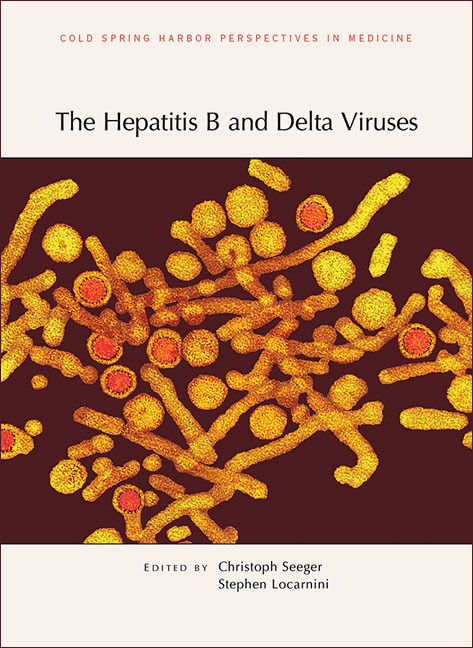 Written and edited by experts in the field, this collection from Cold Spring Harbor Perspectives in Medicine examines all aspects of HBV and HDV infections and their management. Contributors discuss the HBV and HDV life cycles, their unique characteristics (e.g., the formation of HBV cccDNA), the immune responses they elicit, and the challenges they present to the development of antiviral treatments. The molecular mechanisms that lead to liver cirrhosis and hepatocellular carcinoma are reviewed, as are factors that influence the severity of the disease. Conventional treatments (e.g., interferons), emerging therapeutic strategies, and ongoing efforts to find a cure for chronic infections are also described. This volume includes perspectives on the origins and evolution of these viruses, historical milestones in HBV and HDV research, and insights from animal models (e.g., woodchucks). It is an essential reference for all virologists, clinical and laboratory investigators, and physicians interested in reducing the burden of liver disease caused by HBV and HDV.